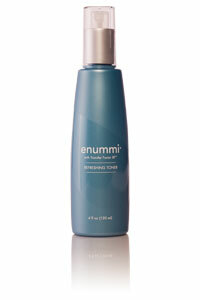 Mist away the day with Refreshing Toner. Infused with vitamins, antioxidants, and other plant emollients, it neutralizes surface impurities and brings needed moisture to your face. Add the immune support of Transfer Factor E-XF™ and the result is smoother, fresher, and brighter skin that’s primed for moisturizing—any time of the day! Transfer Factor E-XF helps protect and heal your skin with powerful immune system support from transfer factors sourced from cow colostrum and chicken egg yolks. As the first initial barrier to the outside world, supporting the skin’s immune response is paramount to good health. The extraction processes for transfer factors from colostrum and egg sources are protected by US patents 6,468,534 (egg yolks) and 6,866,868 (exclusive manufacturing techniques), with other patents pending. Peony flower extract, royal jelly, sodium hyaluronate, and other natural humectants hydrate and smooth the skin for a revitalizing boost. * This product information is available for United States. For product information specific to another country, click the country map at International purchase.